That’s what Oregon Senate President Peter Courtney said to me recently (paraphrased) while describing the 2007 bill to amend Oregon’s famous and aging Bottle Bill. In 2007 the legislature amended the Bottle Bill to include water bottles--nearly 20 years after bottled water became popular. Why twenty years later? At least partially, according to the Senate President, because 2007 was when a single Senator made reforming the bottle bill their top priority. That legislator was the issue’s champion. A champion is a legislators who cares deeply about an issues, prioritizes it among their other issues, takes time to learn its details, leads on it among their colleagues, and works in partnership with outside groups like OSEIA to ensure it passes. The Senate President’s point was that it takes more than a good idea to pass a bill; a good idea needs a legislator to champion it through the legislative process. 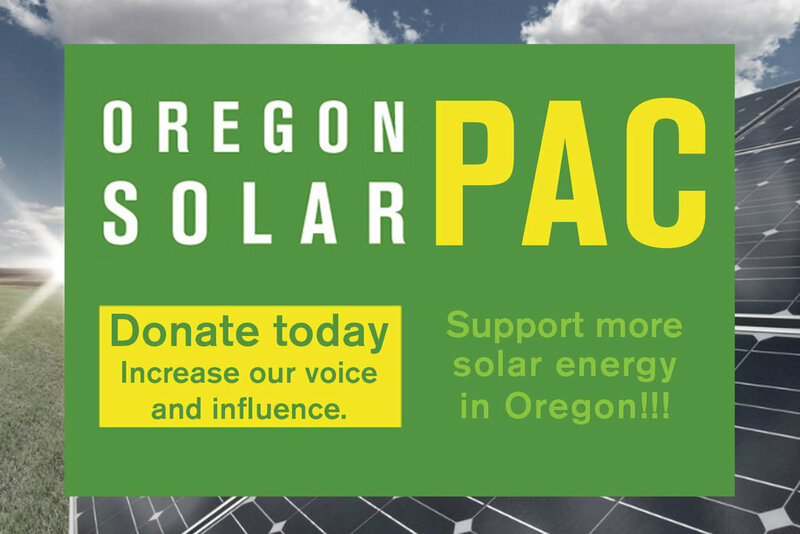 For OSEIA to win policies that expand Oregon’s solar markets, we need to grow more solar champions in the Oregon Legislatures. That’s a top reason we created the Oregon SolarPAC. By making political contributions to candidates, SolarPAC will begin building relationships with legislators long before the legislative session starts. SolarPAC will enable solar supporters will meet with future legislators in their own districts to educate them about solar and identify those who may eventually become standout solar champions. Come next February's legislative session, OSEIA will be pounding the halls of Oregon’s capitol working to advance 2017 policy agenda. In development now, that agenda will no doubt include bills on crucial solar issues ranging from protecting and expanding Oregon’s Renewable Energy Tax Credit (RETC, see related story[link]) and solar property tax exemption, to boosting the prospects for utility-scale solar project in Eastern Oregon. SolarPAC investment, now, in growing legislators into solar champions, will greatly enhance our ability to win pro-solar policies in 2017 and beyond. So please take a moment and contribute to SolarPAC now.